The bodies of at least 26 Japanese soldiers from the Second World War have been washed from their graves by rising sea levels in the Pacific. This is not the first time that climate change has been implicated in the re-emergence of buried soldiers. Earlier this year, melting ice exposed the frozen remains of World War I troops who fought in the Alps. But this time it's rising sea levels that are to blame. Dead Japanese servicemen, along with unexploded bombs and other military equipment, have been washing up on the Marshall Islands in recent months. These islands are only two meters above sea level at their greatest height. 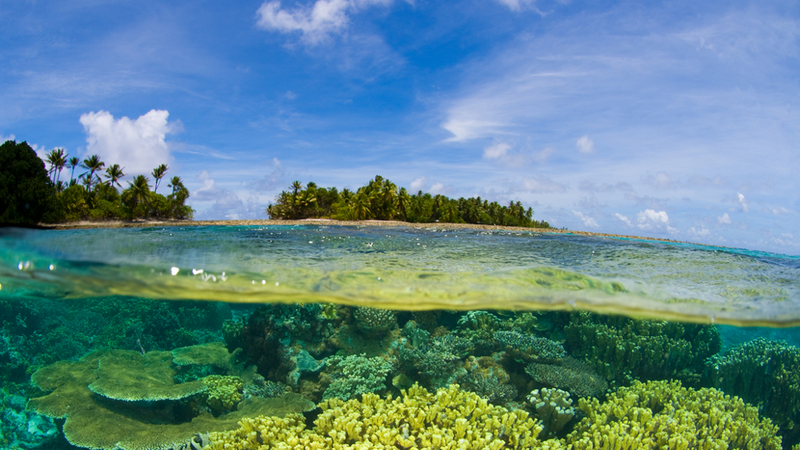 Climate change is threatening the very existence of these islands. Speaking at the UN climate change talks in Germany last week, Tony de Brum, the Marshall Islands' Foreign Minister, said: "There are coffins and dead people being washed away from graves. It's that serious." The skeletons appeared on Santo Island after high tides slammed into a coastal cemetery from February to April. "We think they are Japanese soldiers," Mr de Brum said. "We had the exhumed skeletons sampled by the US Navy in Pearl Harbor (in Hawaii) and they helped identify where they are from, to assist in the repatriation efforts." Global warming has raised average world sea levels by about 7.4 inches (19 cm) over the past century, exacerbating the effects of storm surges and tides. Salt water that trickles onto land can ruin vegetation and crops. During World War Two, the Marshall Islands were used as an administrative centre for the Japanese army before US forces invaded and occupied the islands.